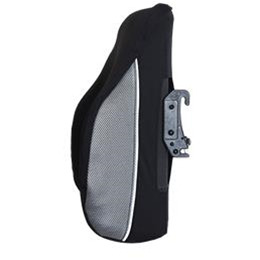 The üFit™ Backrest is designed to be customized to uniquely fit users with scoliosis, kyphosis and other spinal deformities. 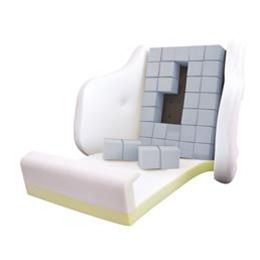 The main foam support layer is comprised of removable/customizable üCube™ foam blocks, which can be individually removed and/or cut to create a unique fit that accommodates each user's needs. 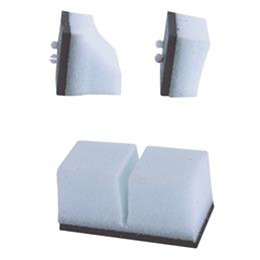 A secondary layer of foam ensures the contour is smooth and prevents any exposure of the shell. 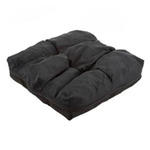 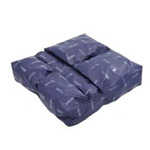 Product Height: 16" - 20"
Sizes Available (Width): 14, 16, 18, 20 & 22"
Sizes Available (Height): 16, 18, 20"